Games involving The New Saints FC are more than just going and watching a game of football as far as I’m concerned. There are lots of other things going on around the match itself. 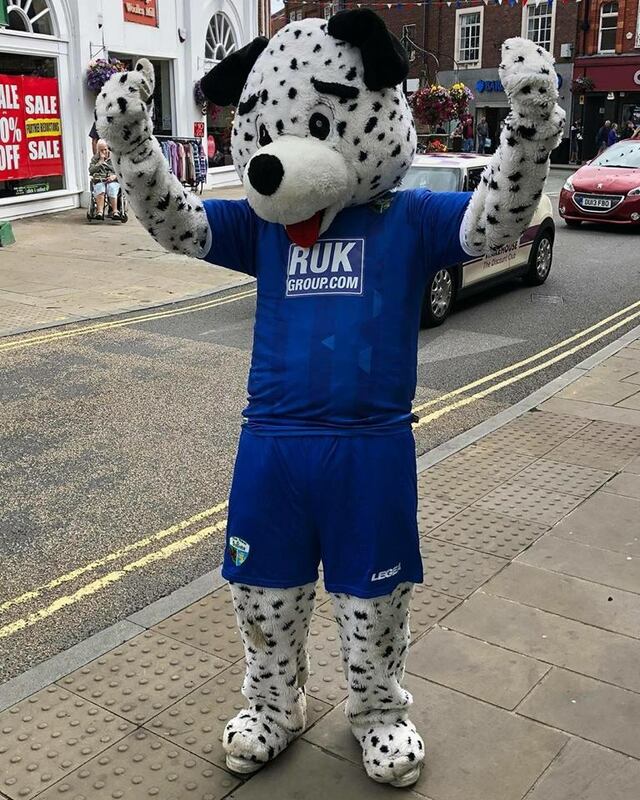 Prior to the Carmarthen Town JD Welsh Premier League fixture, that involved going into Oswestry’s Cae Glas Park as Spot The Dog, engaging with the community. Then, ahead of kick-off itself we trialled showing video footage on the big screen in The Venue, creating a fan zone. Along with live interviews, it was something that I think will definitely work as we develop it. Then it was straight on air with TNS Radio. The match itself ended 6-0 to The New Saints. It was a pretty comprehensive victory as we got back to winning ways. It was also my 30th game of 2018/2019. You can check out my groundhopping pages HERE. Following the final whistle, I interviewed manager, Scott Ruscoe and a couple of players. Greg Draper scored two second-half goals and Josh Hmami made his TNS debut so they were the obvious candidates. Follow my blog updates via the link at the base of the home page.